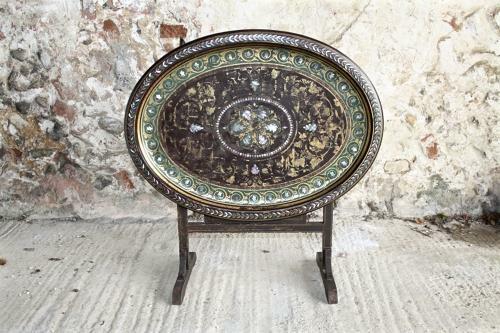 Beautiful 19th century green, gilt and mother of pearl tray top table. Has gate leg action. The tray is painted green with gilt and has mother of pearl inlay. There is the maker's name - W S Burton - and address underneath the top and the people I bought it from have found out some more info about them which is attached.